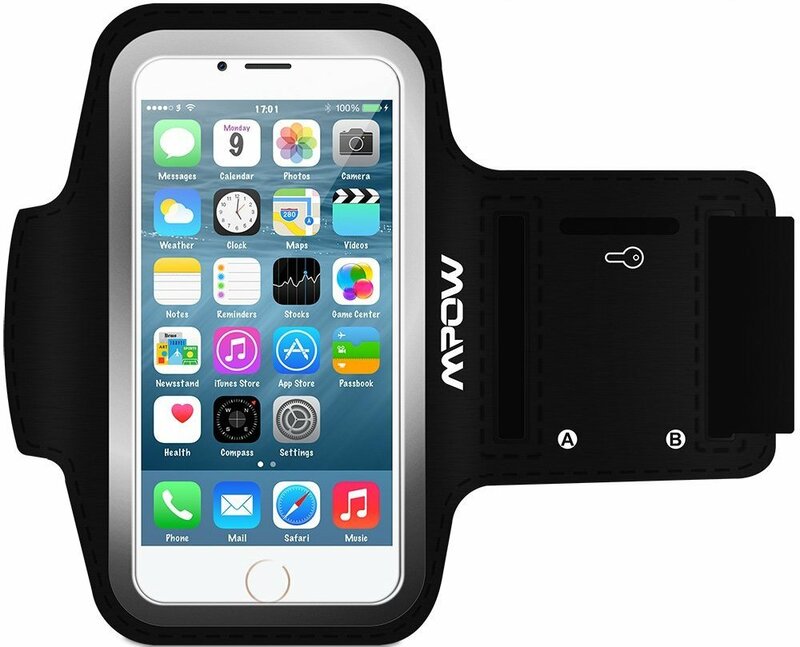 Just in time for Apple Watch deliveries tomorrow, we’ve got a sweet deal on an iPhone 6 armband that’ll be an ideal pair for working out. 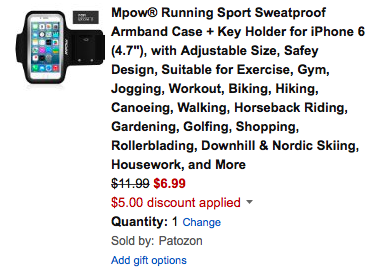 Amazon offers the MPOW iPhone 6 armband for $12, but applying coupon code UDMRVY8D will drop the final price down to $6.99 Prime shipped (free trial). This armband usually goes for $12, today’s price is $1 better than our previous mention and the lowest we can find it. Sweatproof: Not every armband is sweatproof, MPOW armband contains special sweatproof material, and we also add a sticky back tape to make sure the armband closed. Strong sticky back tape: We use the strong sticky back tape to make sure the armband do not fall off when you are exercising. Adjustable: Built in two regulating slots to make the armband adjustable and suitable for most people. The crystal clear protective film is soft, sensitive, so you can touch and control your cell phone when you take exercises, and it can also keep your screen away from scratches.